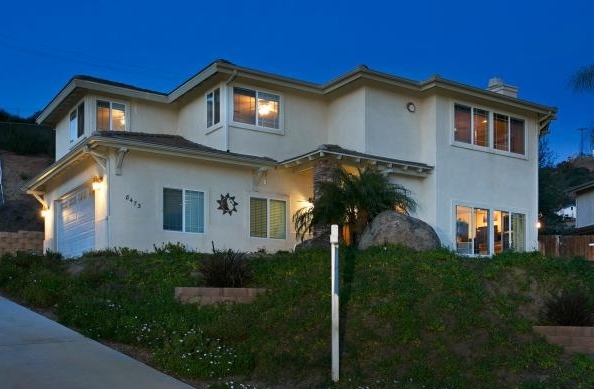 Exclusive open house sales event for spacious El Cajon custom home this Sunday from 1-4p! DON’T MISS OUT ON THIS INCREDIBLE DEAL AT $450,000 AT OUR OPEN HOUSE SALES EVENT THIS SUNDAY, APRIL 13 FROM 1-4PM! A rare find, indeed! Spacious 2,153 square-foot beautiful custom home nestled at the base of mountains in tranquil El Cajon. Enjoy endless panoramic views from this prime location in a safe quiet cul-de-sac. Rare find in a home with a serene backyard to entertain family and friends. Move-in ready open floorplan with 4 bedrooms and 2.5 bathrooms, including a luxurious master retreat complete with stone sinks and showers in a spa-like master bath. Elegant upgrades throughout including surround sound system, dual zone AC, contemporary fixtures, designer lighting and more! Large laundry room and large closets are perfect for families. No HOA fees! This is a must see. Don’t miss out on this gem! Check out the video and contact us to find out how you can move into your new home in El Cajon!